Bridal portraits before the ceremony are some of our favorite images! Neal and Danielle Urban usually arrive as hair and makeup are just finishing up. We begin photographing the wedding dress, shoes, jewelry, flowers, invitations, save the dates, bridesmaids dresses, rings, and any other details the bride is incorporating. Then we take a look around to see the best location for the bride to get into her dress. This usually requires us to move some furniture. We loved this particular wall at Jenne's house. Once we saw her dress, we knew it would be a great and simple back drop. And it looked so nice with the bride's hair color and skin tone. We really love using the wedding veil for photos. The longer the veil, the better. For this, we pulled the veil over the bride. We created a pocket to show off her face. We wanted to do a detail makeup/jewelry shot. Once we had the veil where we needed it to be, we had Jenne look down. Her makeup looked amazing and this pose showed it off perfectly! My favorite is the jewelry she has across her upper body! It outlined her shoulders and created a gorgeous necklace. It was so different. One of my favorite images from the day! Jenne and Michael got married in July of 2017. They had the ceremony at St. Joseph University in Buffalo, the idle (wedding photos) at Knox Farm State Park in East Aurora, and the reception at the Columns Banquets in Elma. 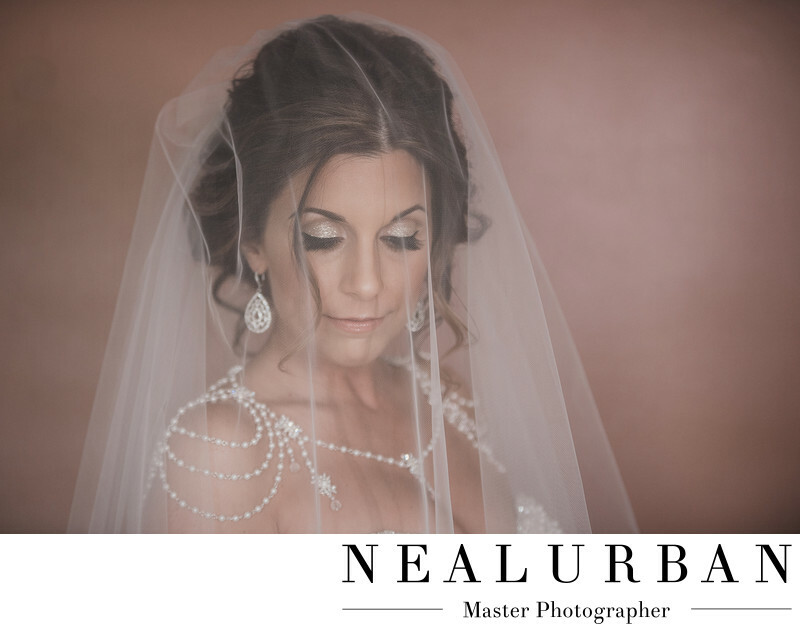 It was a beautiful wedding and we captured some amazing images that day!